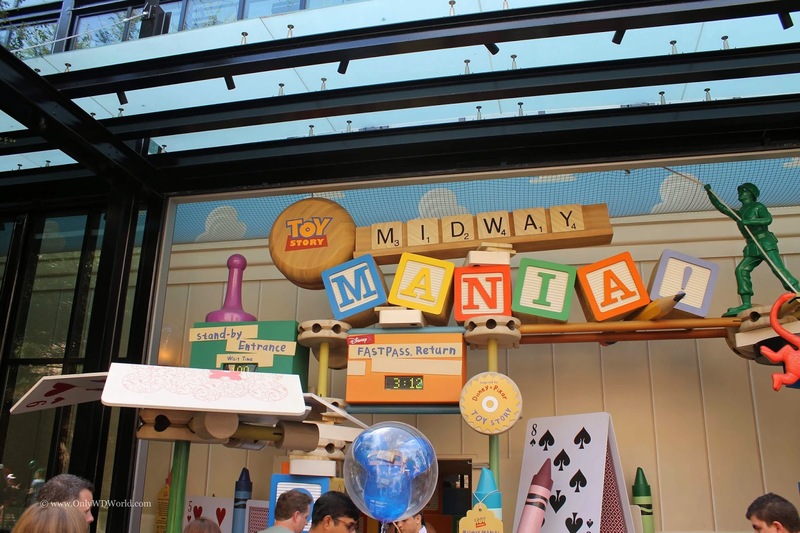 If you judge an attraction's popularity by the length of its lines, then Toy Story Midway Mania is the most popular attraction in all of Disney World. 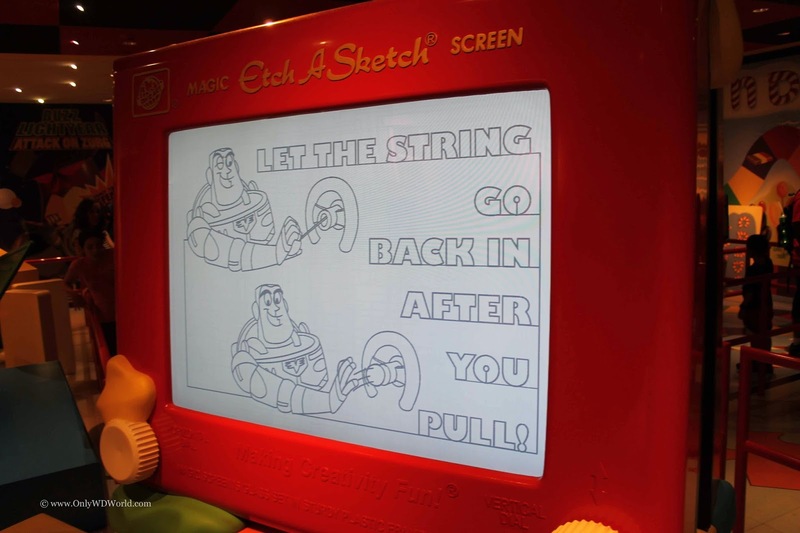 This interactive tribute to Woody, Buzz Lightyear, and all of their Toy Story movie friends appeals to Disney guests of all ages. 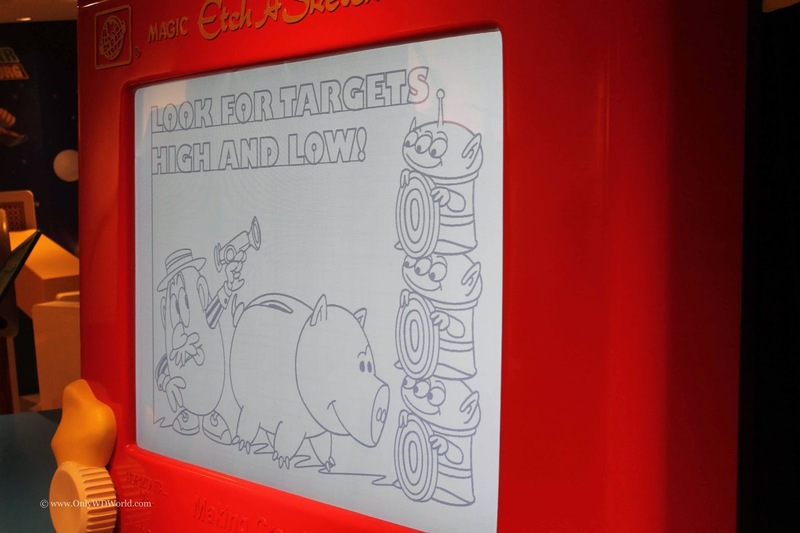 What visitors to Disney's Hollywood Studios may not know is that there are helpful hints to improve your score that are shown while you wait in line! 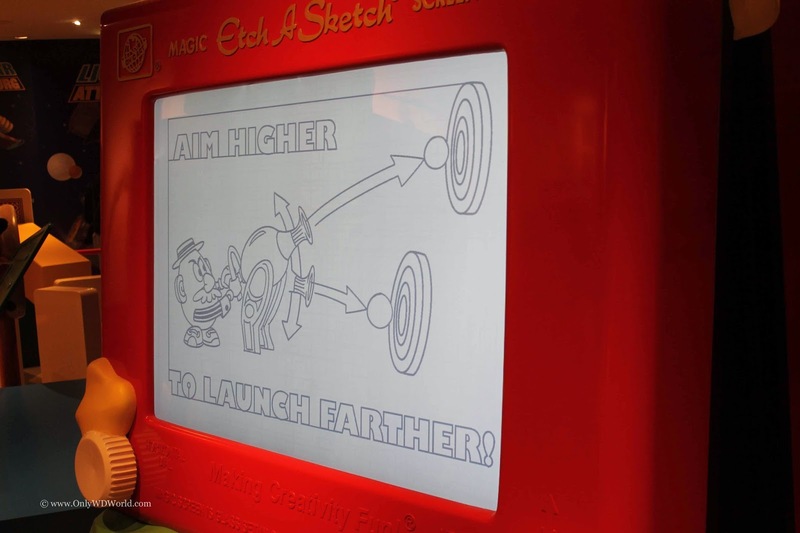 There is a giant Magic Etch A Sketch that draws out hints that can help you in the attraction. "Let the string go back in after you pull!" 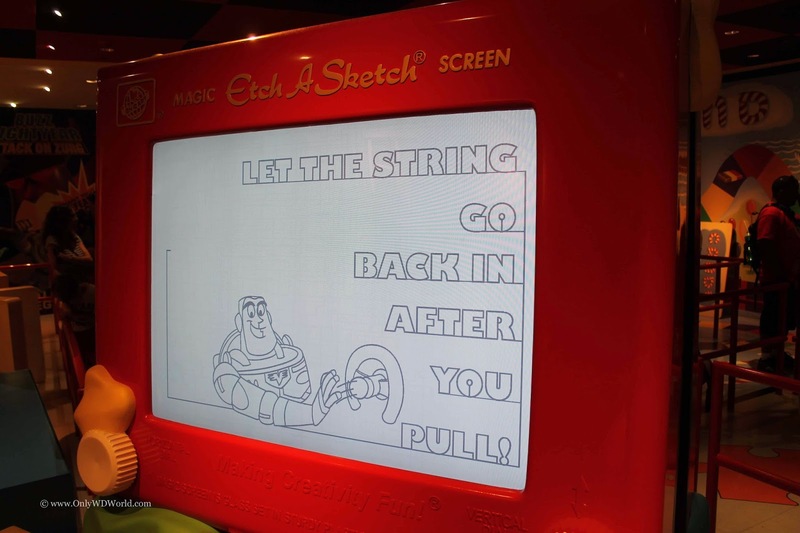 is shown in a graphic with Buzz Lightyear. 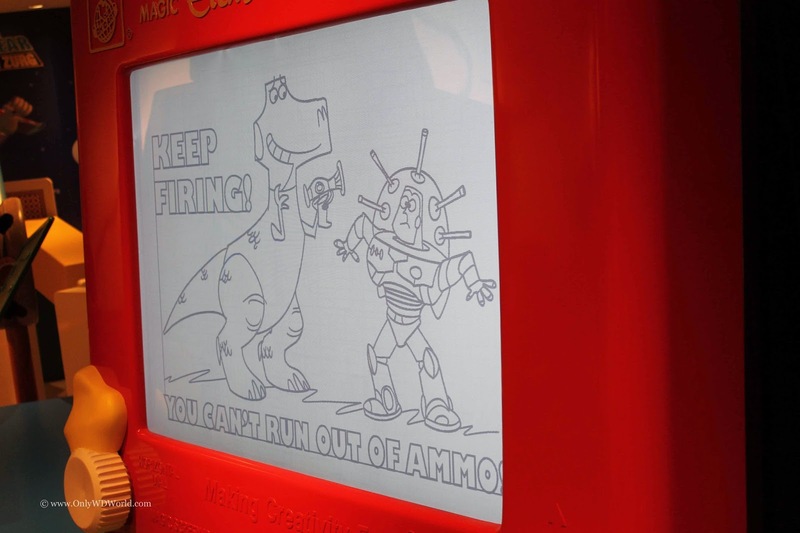 Part of the fun is watching the Etch A Sketch create the drawing before your eyes! Mr. 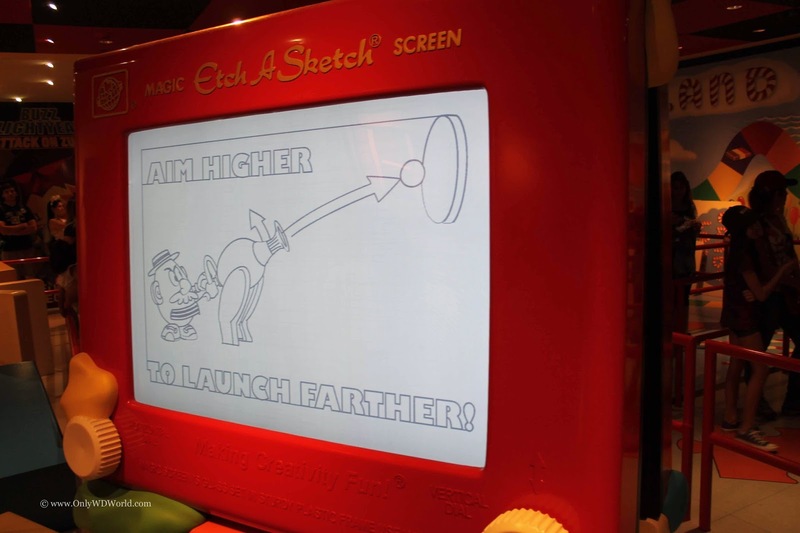 Potato Head illustrates that you need to "Aim higher to launch farther!" Mrs. 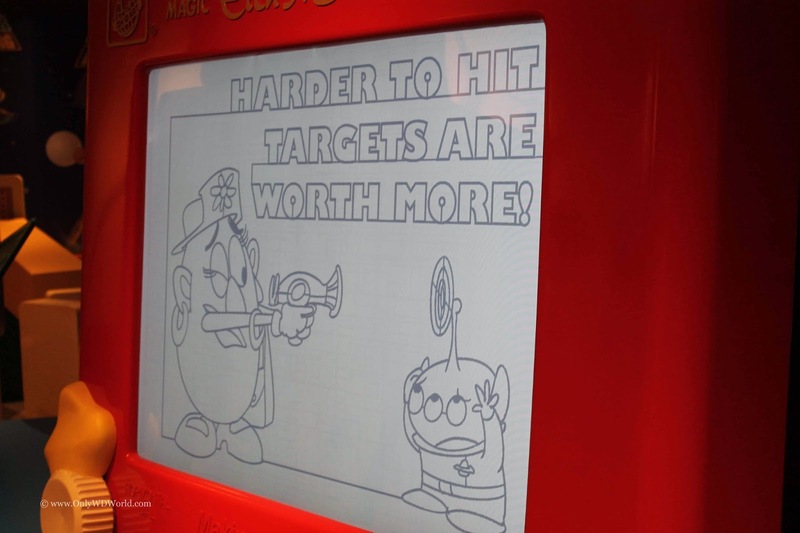 Potato Head shows us that "Harder to hit targets are worth more!" as she takes aim at one of the aliens. Mr. 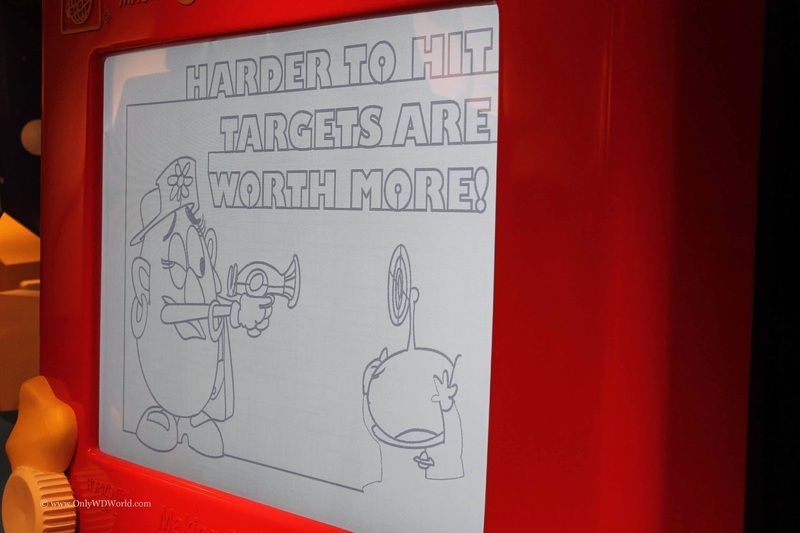 Potato Head & Hamm team up to say "Look for targets high and low!" when they are up against a trio of aliens. Rex and Buzz Lightyear tell us to "Keep Firing! You can't run out of ammo!" Finally, Jessie and Bullseye provide the excellent advice that "Moving targets are worth more points!" Toy Story Midway Mania is yet another example of the great level of detail that the Disney Imagineers bring to the attractions. While you wait in line for Toy Story Midway Mania you get to explore Andy's Room with larger than life versions of classic toys from a "Toy Sized" perspective. 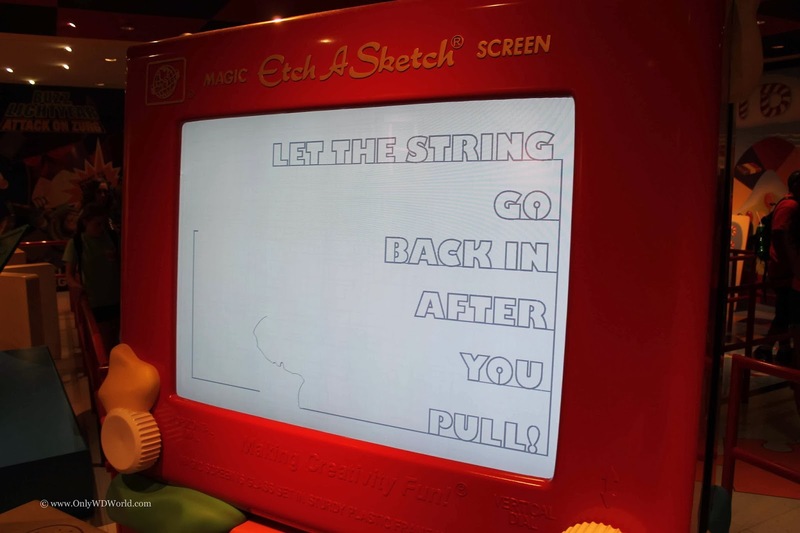 Adding additional details like the helpful hints shown above on the giant Etch A Sketch only further enhances the experience. 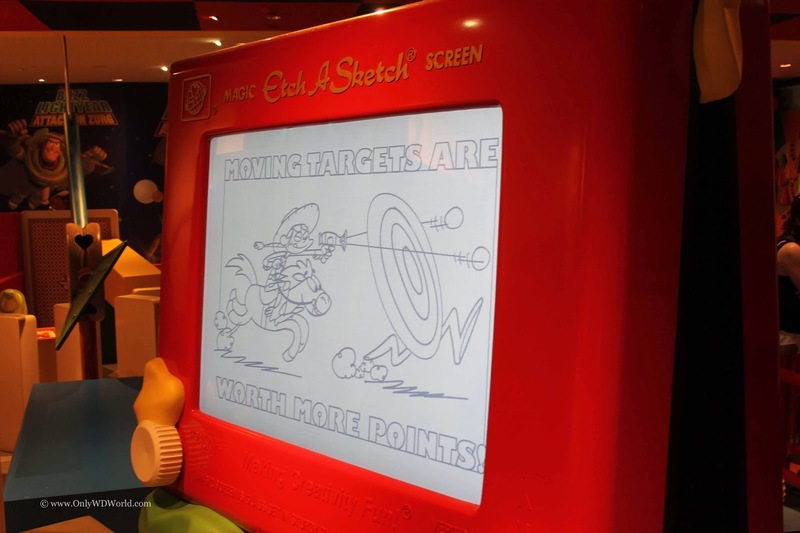 0 comments to "Toy Story Midway Mania - Helpful Hints To Play This Disney World Attraction"